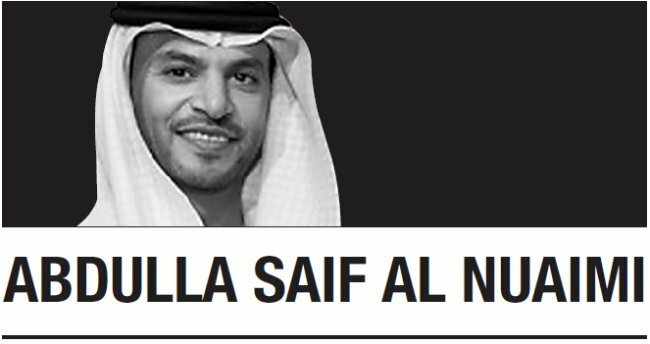 The following article was written by Abdulla Saif al-Nuaimi, ambassador of the United Arab Emirates. --Ed. The United Arab Emirates and Republic of Korea established diplomatic ties in 1980. This was followed by the opening of embassies in each other’s countries. Since then, the two nations have maintained vibrant cooperation in various fields. This was enhanced by exchanges of visits involving high-ranking government officials and trade delegations, who signed bilateral agreements to strengthen the ties. In 2009, the two countries took a step forward by elevating their relationship to a “strategic partnership,” recognizing growing bilateral exchanges. The move was accompanied by the signing of an agreement for four nuclear reactors projects, deemed a milestone in the two nations’ history of engagement. The UAE granted a consortium contract to Koreans to build the Barakah Nuclear Energy Plant project in Abu Dhabi. The same period witnessed the signing of new agreements in diversified areas of collaboration. The strategic partnership opened the way for bilateral cooperation beyond areas of traditional cooperation to new fields such as health care, education and science, in line with future visions of the two countries. To solidify the cooperative ties, leaders from both sides exchanged official visits. From the UAE side, Sheikh Mohamed Bin Rashid al-Maktoum, vice president and prime minister of the UAE and ruler of Dubai, visited Korea in 2007. Three other visits to Seoul were also made by Sheikh Mohamed Bin Zayed al-Nahyan, crown prince of Abu Dhabi and deputy supreme commander of the UAE Armed Forces, in 2010, 2012 and 2014. Likewise, similar visits were made to the UAE by Korean leaders, including former President Roh Moo-hyun in 2006, former President Lee Myung-bak in 2009 and 2011 and former President Park Geun-hye in 2014 and 2015. Numerous visits by ministers and ministerial-level officials were also exchanged during that period. In December 2017, Im Jong-seok, Korean presidential chief of staff, visited Abu Dhabi as a special envoy. This was followed by a visit by Khaldoun Khalifa al-Mubarak, CEO of the Emirate of Abu Dhabi in January. In late March, President Moon paid a historical visit to the UAE. He was cordially received by UAE’s leaders, including al-Maktoum and al-Nahyan. During the visit, the two nations’ leaders agreed to further upgrade their ties to a Special Strategic Partnership. The visit coincided with a celebration marking the completion of the construction of the first nuclear reactor as part of the Barakah Nuclear Energy Plant project. Leaders of the two countries also witnessed the signing of new agreements aimed at diversifying fields of cooperation, covering small and medium-sized enterprises, intellectual property, science and renewable energy. Trade relations have been bolstered dramatically over the past few years. Last year, the bilateral trade volume reached $14.93 billion, an increase of 16.5 percent from the previous year with $12.81 billion. Both the UAE and Korea have significant investments in the other. Looking at the future of bilateral ties, each nation has set its strategies and plans in anticipation of the “fourth industrial revolution.” As shown in its recent cabinet shuffle, the UAE is paying special attention to future-oriented development in industry, infrastructure and knowledge as well as new engines of growth, including artificial intelligence. Similarly, in 2015, Korea announced a strategy targeting next-growth engines such as the internet of things, artificial intelligence, 3D printing, virtual reality and biotechnology, among others. The two friendly countries can join hands in a complementary approach to reap mutual benefits of their peoples.